Tartan will never go out of style, especially in the home. This famous Scottish check has a classic appeal, bringing warmth, tradition and a touch of Celtic charm to your space. Its timeless look and feel is always in fashion! 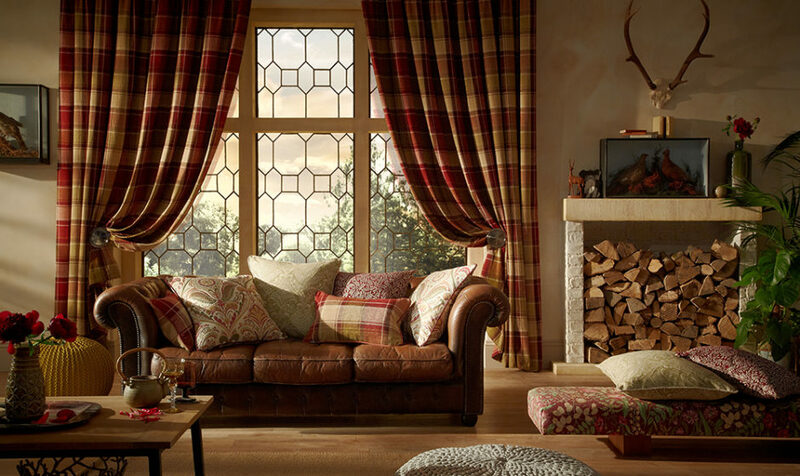 Here at Custom Curtains, we’ve a great range of checked curtains to suit every taste. The Fryetts Balmoral collection is a particular favourite, offering the highest quality fabric and plenty of choice. Each tartan offers a different take on the traditional. For instance, you can achieve a warm autumnal look with the Fryetts Balmoral Red or Balmoral Mulberry. If you prefer light, airy interiors, consider the Balmoral Citrus, which features fresh shades of grey and lime. The Balmoral Sorbet is a more feminine style, with its pink criss-crosses providing a pretty twist. Finally, the Balmoral Oxford is a cool and contemporary take on traditional tartans, its shades of grey and beige punctuated by cornflower blue stripes. No matter your tartan preference, you can guarantee this classic pattern will pull together your colour scheme and complement your interior style. It will also warm up your home for the season, bringing texture and interest to the space. What’s more, when you shop our Balmoral collection in the run-up to Christmas, you’ll automatically qualify to enter our luxury footstools giveaway! From the 17th November until the 14th December, we’re offering all of our Balmoral customers the opportunity to win one of two luxurious, handmade footstools. These footstools are the perfect addition to your living room, bedroom or even your kitchen, bringing more tartan charm to the space as well as coordinating with your brand new curtains! Our exclusive footstools are completed in Balmoral Red and Balmoral Grey fabric. The winners of the competition will be announced before Christmas, with the prizes being shipped in time for the big day. Would you like the chance to win one of these two fantastic prizes? Shop our Balmoral collection today! Read the T&Cs here.